Drake was born in the remote town of Tavistock, Devon in March 1544. He’s the eldest among the 12 children of Edmund Drake, a farmer, and Mary Mylwaye, a devoted Protestant. His name was said to be inherited from his godfather Francis Russell, the second Earl of Bedford. When he was 17 years old, Drake’s family decided to move from Tavistock to Kent. Drake’s father was appointed by the Protestant community in Kent to minister to the King’s navy group. Drake was once mistakenly identified as John Drake, who happened to be the son of Edmund’s brother, Richard. In 1569, Drake married Mary Newman. Twelve years after Newman’s death, he remarried, to Elizabeth Syndeham, the only daughter of a respected sheriff from Somerset. Drake did not have any children from both wives, and his assets and titles were later on passed to his nephew. In 1568, he started his first voyage with the help of his mentor, Sir John Hawkins. The Mexican harbor of San Juan De Ulua in Mexico served as Drake’s base for his expedition. In 1570, Drake vowed to avenge the San Juan De Ulua defeat by dividing his minor West Indie voyages into two parts. 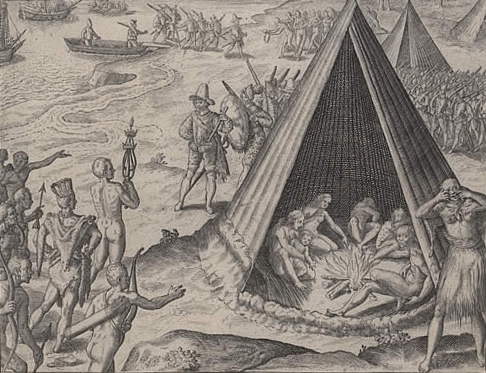 In 1572, he embarked on his first independent voyage which took place across the Hispanic regions. Drake drew out his plans carefully in attacking the Isthmus of Panama (currently known as the Spanish Tierra Firme). He was able to fulfill his plans after gold and silver treasures from Peru were found along the Caribbean Sea. On May 14, 1572, Drake left the English town of Plymouth to capture the territories governed by the Nombre De Dios of Spain. The series of captures first began in the month of July 1572. Drake, along with his 73 men, stayed in the vicinity of Isthmus for one year before capturing the Nombre’s treasure shipment. He joined forces with French pirate Guillaume De Testu in attacking the town’s mule train. The attack, which resulted in the capture of more than 20 tons of gold and silver, unfortunately became the reason for Le Testu’s beheading. Drake continued his voyage even after Le Testu’s demise. With the help of his men, he buried the treasure captured by Le Testu on a beach exactly two miles away from the Nombre’s main coastal area. Drake’s homage to Le Testu is a testament to his impeccable leadership. In August 1573, Drake and his men returned to Plymouth. 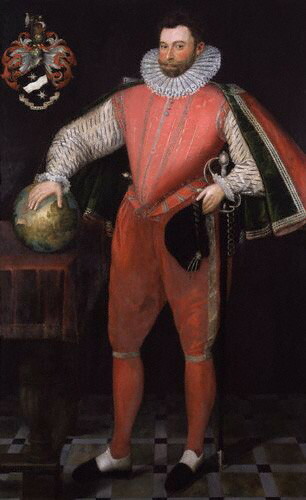 Elizabeth I later appointed Drake to lead the Spanish expedition across the American Pacific coast. He left Plymouth for the second time in November 1577. However, unexpected weather conditions forced him to cancel the expedition. Drake settled in the small town of Falmouth, Cornwall before returning to Plymouth. He resumed the expedition aboard four ships (led by the Pelican) in December of 1577. Drake eventually added another ship named the “Mary (originally named Santa Maria), a Portuguese merchant ship which could carry a crew of more than 100 men. However, the ship was captured by a group of pirates from the Cape Verde islands in Africa. Drake’s voyage along the Pacific coast led to his first landfall at the San Julian Bay, which is now known as Argentina. The great half-Spanish, half-Portuguese Ferdinand Magellan was the first explorer who discovered the bay. During his stay at the San Julian, Drake’s men spotted bleached skeleton marks from the Spanish gibbets. These were said to be burned and rotting pieces from the ship Mary. Drake assigned Thomas Doughty to thoroughly examine the skeleton marks and other significant pieces from the gibbets. The last three ships led by Drake’s convoy departed from San Julian to the Magellan Strait, which is situated along the southern tip of South America. In September 1578, Drake was about to make his first landfall in the Pacific region when one of the three ships was destroyed by storm surges which caused him to return to England at a very unfortunate time. During Drake’s return to England, he discovered an island along the southern coastal areas of the Atlantic. He named his discovery “Elizabeth Island” after Elizabeth I. According to the “Principall Navigations, Voiages and Discoveries of The English Nation” data printed by the ancient explorer Halkyut in 1589, Drake and his team of navigators were on the “55-degree latitude” when they attempted to capture the coastal regions in Chile. The publication of prominent European explorers Jacob La Marie and Willem Schouten was released after descriptions answering to the “Drake Passage” were found at the Tierra del Fuego. The “Golden Hind” flagship marked Drake’s prominence in world history. Renamed in honor of Sir Christopher Hatton of the “Coat of Arms” legacy, The Golden Hind frequently sailed all over the northern and southern coasts of the Pacific, including the rival ports and towns in South America. Drake landed in Mocha Island prior to his historic expedition in Peru. During his stay at the island, Drake suffered from severe injuries brought by “Mapuches.” After his Chilean expedition, Drake captured a Spanish-owned ship carrying 25,000 pesos worth of Peruvian gold which were equivalent to more than 30,000 ducats of peseta (Spanish money). Drake also captured the “Nuestra De Senora de la Concepcion” which was sailing towards the Philippine islands. The ship was carrying 80 pounds of gold, 13 royal plate chests, 26 tons of silver, jewelries and a golden crucifix. Drake spent his final years by serving as the Mayor of Plymouth in September 1581. During his political stint, Drake failed made attempts in attacking the Las Palmas port (now San Juan, Puerto Rico) in Northern America. In 1596, he was killed in Portobelo. 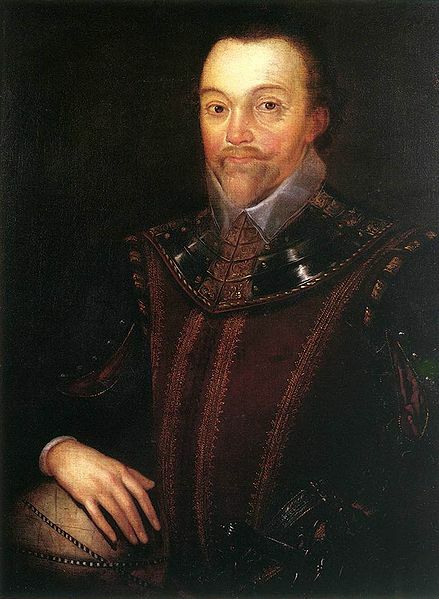 Francis Drake was not killed, though the spanish did try to, but died of dysentery. According to my grandfather, I’m related to this man. Thats dosen’t seem right because he died with no children and all of his siblings families (of recorded history) died out or disappered. So your grandfather is more than likely wrong. The probability that you are related to him is as likely as I am to the founders of Heinz ketchup. Related to is not the same as descended from. My line is through Thomas, brother of Sir Francis, 1556-1608, who married Elizabeth Gregory. This Elizabeth 1592-1631 married Sir John Bampfylde 1585-1650. You can look up this history in Devonshire, England books, such as the Visitations of Devon by Vivian; this book is available to read online. Good luck! Idk if any of this is right, all I know is that I have to write a paper of information and site each site to compare. so either way….eh idc i got an A+ but i deserve it,. anyway catcha later! thats why i watch a documentary instead..simple as that..yupp.